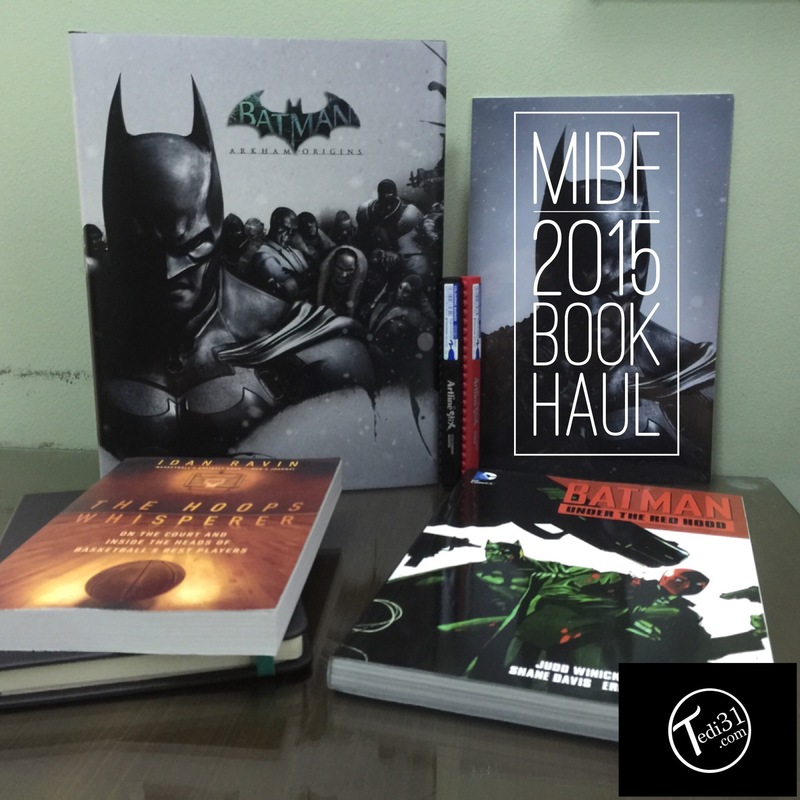 From L to R: #AntFam at #MIBF2015 | Batman: Under The Red Hood TPB and Batman: Arkham Origins Limited Edition Strategy Guide | The Graphic Novel section of Fully Booked in MIBF 2015 | It isn’t a scam! Robert Kiyosaki is coming to Manila! | Indy’s Artline Stix’s inspired doodle. | Everyone seems to have found something. 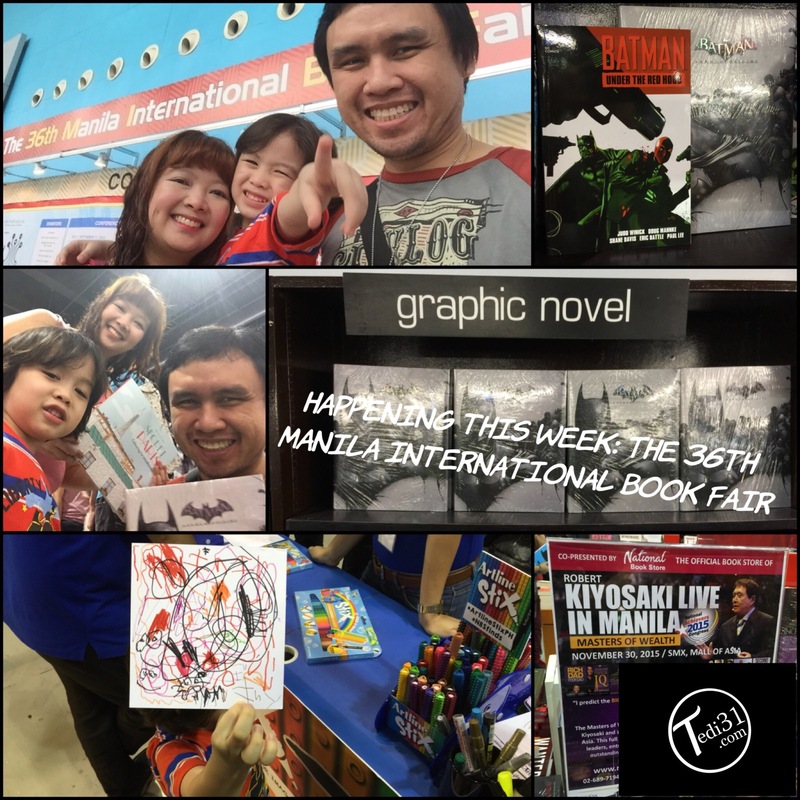 With what has become an annual event, the #AntFam marched to the 36th Manila International Book Fair (MIBF) at the SMX Convention Center with excitement in our eyes: Indy gushed at the overwhelming sight of all the books; Daryl made a bee-line for the nearest adult colouring books; while I headed for Fully Booked’s impressive graphic novel section. If there was one thing that I liked about the Manila International Book Fair (MIBF) is that the vendor’s booths were more or less in the same place that they were the year before. I am not sure if this is by design–but I love it! It gives me the comfort of knowing where everything is. On a parting note, the idiom “The early bird catches the worm” certainly applies to book hunting in the MIBF. Schools and other interested parties literally gobbled up all of the textbooks and references in my area of interest on the first day of the book fair. What does this teach us? Go as soon as they open their doors on the first day people! Great job MIBF vendors and organisers! Till next year! [i] For those of you who are also interested in getting to know Jason Todd more, I suggest picking up and reading (preferably in this order) Batman: Second Chances, Batman: A Death in the Family, Batman: Under The Red Hood, Batman: Red Hood – The Lost Days. You can cap it off by playing the aforementioned video games that I mentioned above as well as watch the 2010 direct-to-video film Batman: Under The Red Hood. [ii] Despite finishing the game a couple of years ago, I thought the book would go nicely on my shelf next to my copies of The Art of Rocksteady’s Batman: Arkham Asylum, Arkham City & Arkham Knight and Batman: Arkham Universe: The Ultimate Visual Guide. [iii] Aside from wishing to be more informed on his motivational techniques, I really wanted to know for myself what all of the hoopla was all about. [v] Armed with my equally new black and red Lego/Construction Blocks inspired Artline Stix Colouring Markers!